A new grocery store that emphasizes organic and natural foods has opened its doors in the neighborhood. Called Sprouts Farmers Market, the newcomer is located at 1000 S. Broad St. in South Philadelphia's Lincoln Square development. The nationwide chain of stores traces its roots back to a fruit stand in San Diego. This is its first location in Pennsylvania. The store carries produce, meat and seafood, pantry staples, baked goods and deli meats and cheeses. Ninety percent of products are considered natural or organic, according to its website. Sprouts Farmers Market has gotten good reviews thus far, with a four-star rating out of four reviews on Yelp. Retna S., who reviewed the new store on Sept. 22, wrote, "Very big supermarket. A lot of selections of organic products. Definitely competing against Whole Foods. Very crowded but the register moves fast. There's express lines for 10 items or less. Very friendly staff." 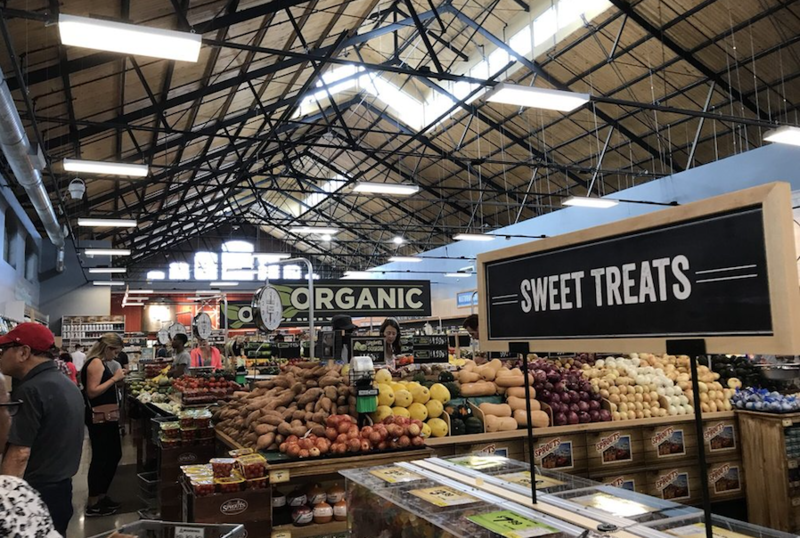 Yelper Michael F. added, "Tons of organics, plenty of sampling options (even on normal business days), and prices that don't make you think 'whole paycheck'. Similar to a Trader Joe's, they also offer some prepared options in their refrigerator/freezer areas." Head on over to check it out: Sprouts Farmers Market is open from 7 a.m.-10 p.m. daily.